The Lift Up released their debut album, Without Dreams, We Are Only Sleeping on September 10, 2013. The record was co-produced by the band and Grammy-nominated producer, Jim Salamone at Cambridge Sound Studios in Newtown, PA. The nine songs on Without Dreams… alternate between aggressive, modern rock garage stompers and quiet moments of equally intense sonic reflection, all the while remaining short and to the point. Lyrically, the songs deal with the pressures of adult life, of trying to survive under the constant weight of one’s past. The Lift Up consists of bassist Larry Zappaterrini, drummer John Paul Travis and singer/songwriter/guitarist Joe Castro. Although officially forming in 2012, the three band mates are old friends, having played together previously in The Situation. 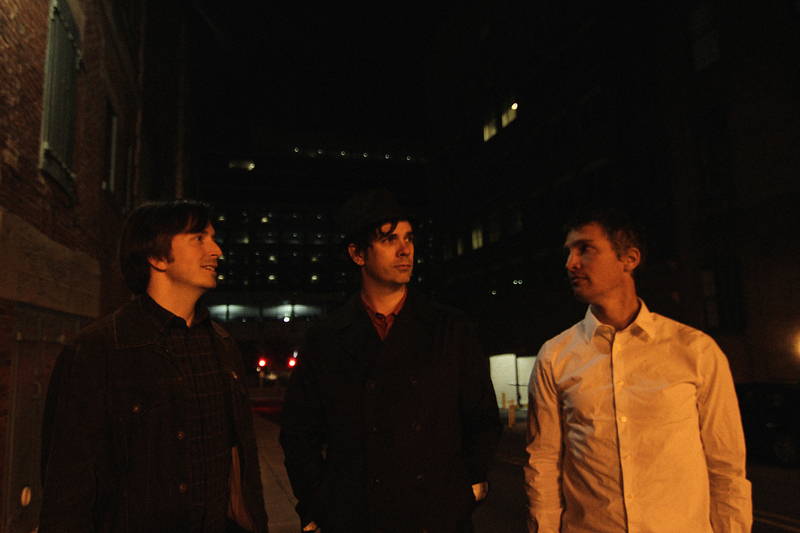 Fronted by songwriter Christopher Tucker, The Situation forged a Brit-pop influenced sound the Philadelphia Weekly once described as “absolute f*cking pop genius.” Signing to Elephant Stone Records (mordam/parasol distribution), they released the Reece Nasty EP in 2003, followed by their self-titled LP in 2006. Both garnered critical praise from Pitchfork, The Big Takeover, Skyscraper and Magnet as well as college radio airplay. The band toured the states, and opened for The Strokes, The Libertines, Brian Jonestown Massacre, Nada Surf, and Arthur Lee & Love. Sadly, the group disbanded in 2006 following the departure of guitarist Castro. Deciding to remain a three piece, the band took it’s influences primarily from classic punk trios like The Jam, Husker Du, The Minutemen, and Agent Orange, while also incorporating a deep love for The Smiths, The Ramones, The Clash and the song writing of Tom Waits, Leonard Cohen, Nick Cave and Bob Dylan. With nine songs coming it at just over 32 minutes, Without Dreams… is a strong introduction to the band that should definitely leave listeners wanting more.